That's right. We want your previously live Christmas trees please. They are a WONDERFUL loose part for the children to use in so many ways in our school yard! 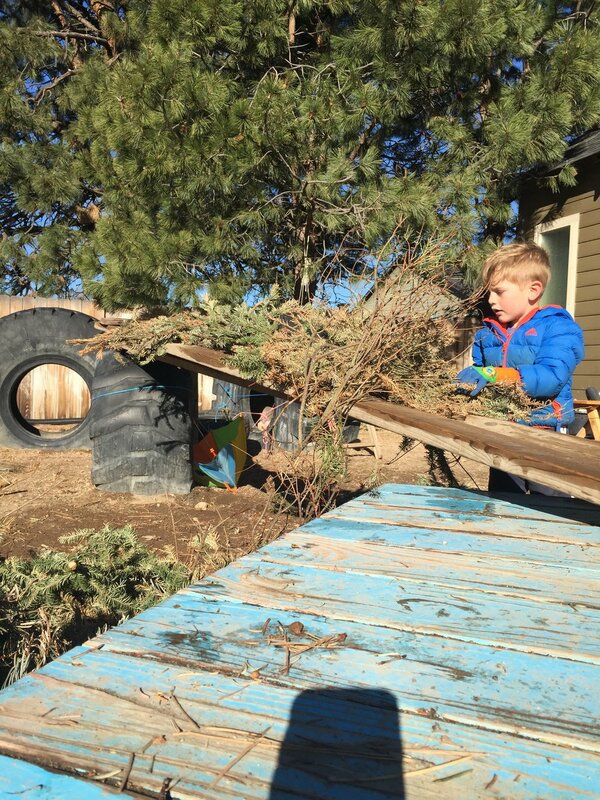 SO...if you've taken your tree down, please deliver it to us by January 1st so we can get all the donated trees set up in the play yard before the children come back to school! Our play here will be so greatly enriched by your little donation! Years ago I advised parents to do toilet training in a very condensed, adult-led and often-too-early manner. 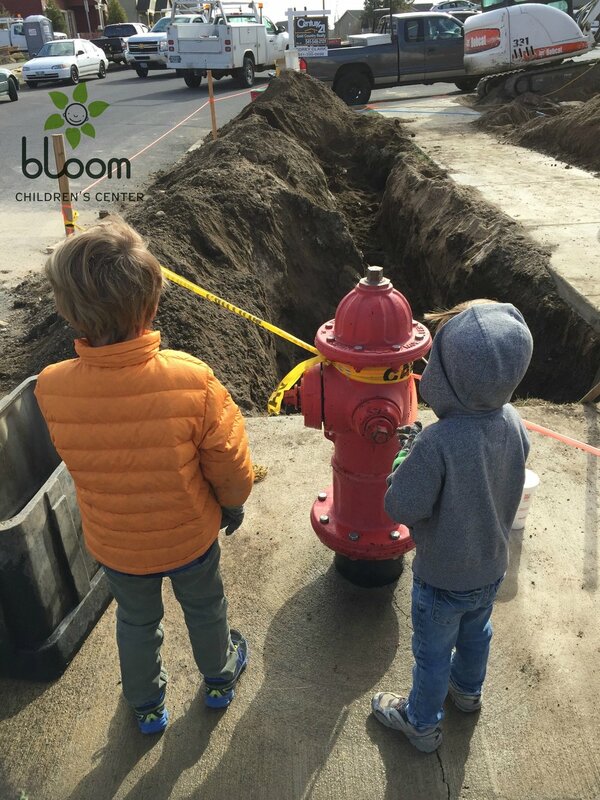 I had watched many children struggle with toiletting, and had heard from countless parents and other providers that they've seen the same. I have since come to be more concerned that adults be very careful not to push toiletting before a child is ready. This is important! I remember Bev Bos saying, (every time I heard her speak...because toiletting seems to be a preoccupation of adults) "A child can control two things. What goes in (their body) and what comes out." This is a reality of the preschool years. We make choices for our children in so many (sometimes too many) areas. Choosing when a child is to begin using the toilet and pressuring to force it to happen is simply not a good idea. My advice to parents in the last several years, as their child approaches the age of moving out of diapers is, "Wait. Simply wait until he is ready." Today a piece entitled Why One Expert Argues Potty-Training Deadlines Are Harmful For Kids was being shared all over the internet. In this piece Steve Hodges, MD explains very clearly why toilet-training prior to readiness should be avoided. Within the article, Dr Hodges provides a list of steps he recommends that preschools take in supporting young children with use of the toilet...a list that I really believe could be found helpful for parents, grandparents, and other care providers alike. As to how this works, very simply...when a child feels confident and at peace with the idea of using the toilet...and when a child feels safe and at peace in the care of adults supporting him...the task of toiletting is very simple for the child when he determines he is ready! 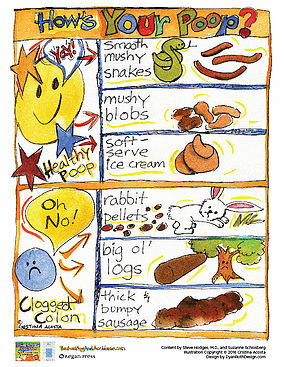 So...if you're a parent, grandparent, childcare provider, etc with questions/concerns about issues surrounding the toilet, I suggest starting with reading the above article and from there further perusing Dr Hodges' website and resources available...and wait...just wait and trust your child's lead! but it is inappropriate as a tool for use with children. Why must adults feel compelled to creatively find ways to bully children into compliance?! Yes...I said bully...because it is using one's power to induce choices made out of fear. That is bullying. I worry about the adults who would use such tactics in their positions of guiding children. Honestly...what on earth are they so afraid will happen if they do not keep children's behavior under their adult control? Truly...what will happen if the children don't walk in a quiet, straight line?! A quiet, straight line?!?!?! What the hell is that??? My friends, colleagues and I NEVER walk in a quiet straight line!!! That would be weird. I suggest we work on spending substantially less energy on creatively manipulating our children into submissive compliance in mundane tasks and spend substantially more energy on learning who each child is...creatively assessing how PRECISELY to meet each one's individual needs! Also, how seriously creepy is it to be telling a child "around my neck I wear a little camera through which a strange man you do not know (aka a stranger) is watching everything you do and will use what he sees to decide the worth of your behaviors." SERIOUSLY...the strange man watching idea is horrible enough! And then this strange man is the one to determine how "good" you are?! AND THEN to think that I your teacher (one of the adults you are supposed to most be able to trust in this world) am acting as an assistant/tool to this strange man?! THAT IS SO CREEPY! For those who'd like to hear more about this (and other) creepy little traditions our culture's adults practice in order to force young children into compliance, listen to my dear friends Dan Hodgins and Amy Ahola in their podcast Shakin' Bones on "Santa's Watching". Yesterday our nation experienced an election that rocked its people. It shook things up. By the end of the evening, some were pleased with the results and others found themselves speechless and devastated. This morning I shared this piece. I heard today that some were surprised or a little put off by the piece, so I think it's important that I ellaborate on why I believe the piece is important to read and consider. The following post is a deeper explination of why we must know "What Do We Tell the Children?"! I witness in my life parents of young children intending to remain informed and speak up for the choices they feel best. I also see those same parents untintentionally passing the weight of the politics on to their children. This concerns me for those children. The piece I shared this morning (linked above) is entitled, "What Do We Tell The Children?" While I believe young children should NOT be burdened with the stress that is politics, the reality is that our children HAVE been burdened. They do not understand. They are trying to figure this all out. They are afraid. So YES...we must know WHAT to tell the children. We must know how to model and speak love so that when our children come up against fear and hatred (be it their own or that of others), they are able to find peace and act in love and peace. Let me give you a little insight that comes directly from our own program, which is filled with children of loving, intelligent, peace-wishing adults (meaning they aren't hate-filled, fear-mongering, horrible people). Yesterday in our program several children were very clearly aware that election day was a BIG deal. We heard all about it. We know who many of our preschool parents voted for (remember...children tell all...we've often even heard about what underwear preschool parents wear and some mothers' bra-wearing choices). We heard that _______ is mean. We heard that _______ is rude. We heard that _______ called ________ a liar. When young children have differing ideas about what is true, they KNOW with absolute certainty that their belief is RIGHT...why? "Because mom saw on TV!" We had a four year old girl telling other children that "bad things will happen if ______ becomes president." When asked by a teacher what bad things she expected would happen her response was, "I don't know." She carried fear clearly passed on to her by someone in her life, but not even a simple understanding of why. One little boy was absolutely consumed with the election yesterday, trying everything he could to understand the whole ordeal. He asked every adult he could make contact with who they voted for. His stress over the issue meant that he needed to converse with everyone to try to figure out how this whole election thing works. Do you understand how stressfull... how absolutely scary this all is to a young child?! This is why it is critical that we do our best to be aware of the potential stress our children may carry. Even very young children are taking on this stress/fear/anxiety. Your child is hearing it all! I've heard the argument "I don't discuss politics with my child." Be careful...your child is perceptive. You are being watched and listened to even when you don't realize that you are. Every four years, teachers in the United States use the presidential election to impart valuable lessons to students about the electoral process, democracy, government and the responsibilities of citizenship. But, for students and teachers alike, this year’s primary season is starkly different from any in recent memory. The results of an online survey conducted by Teaching Tolerancesuggest that the campaign is having a profoundly negative effect on children and classrooms. So yes...our children need to hear our voices. They need to see us act on love. They need to hear our words of peace. They need to know that they know beyond a shadow of a doubt that we love them, support them, and will do all it takes to keep them safe. NO...don't wake your young child up and have a sit-down heart-to-heart about politics, but DO be very aware of your child's potential fears and needs surrounding the issue. While you may or may not have started the fear yourself it also may or may not be there. Listen and watch so as to know whether fear or stress is there. Please stop unintentionally passing political stress on to your young children. And if your child is already found to be in a place of awareness that likely causes fear, please provide healthy conversation for them as in the article at the top of this post that started this entire conversation! Above all, model love for all. Model peace in your daily interactions with all people. Model hope and a passion for caring for others. Please please be sure to pass on to your child the message of love and safety that they need to hear from the adults they trust the most! 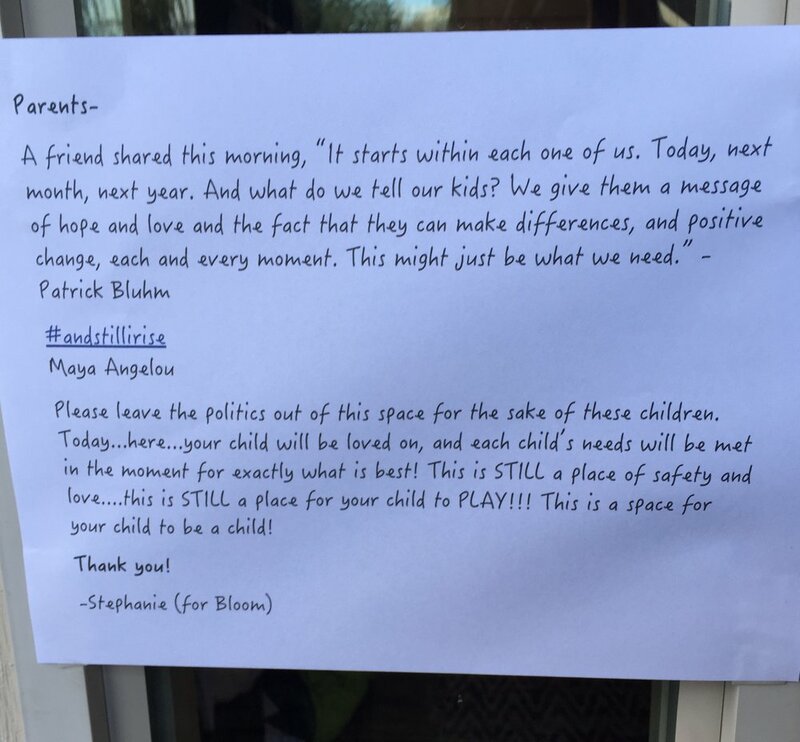 I just want to take a moment to make a public statement that BLOOM PARENTS ROCK! I am SOOO GRATEFUL for the parents of the preschool children in our program! They have proven, in selecting our program, that their children come first...not succombing to societal, peer, or academic pressure! They take their children to the grocery store covered in colored marker because the face painting was important that day! 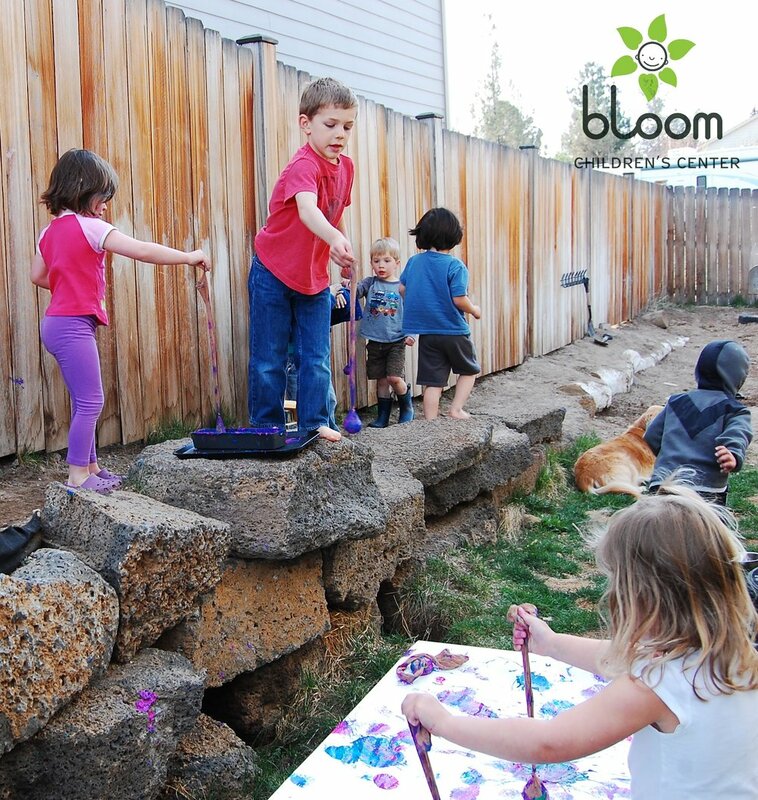 They invest their time in learning about how their children grow...taking one evening a month (sometimes more) to process early childhood learning topics with a group of like-minded parents and facilitators. 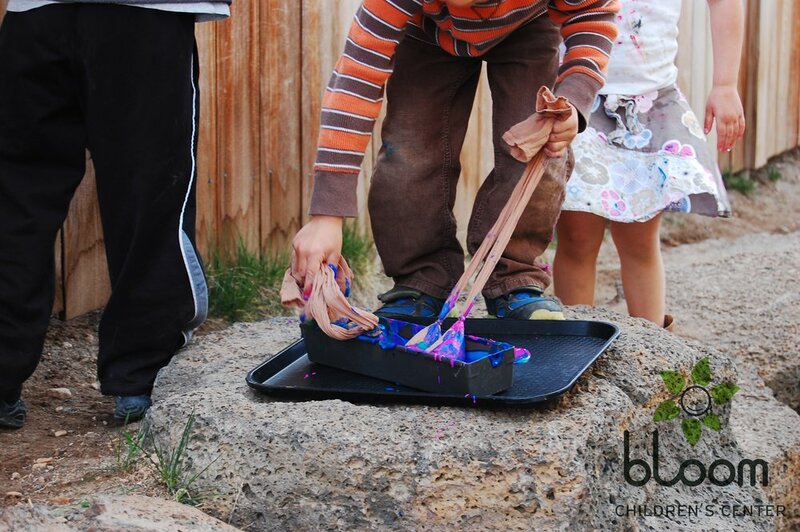 They invest greater than average time in bathing their children because they understand that getting "messy" is a part of the process for their children! They TRUST us with the care of some of their favorite people in the universe! When I go shopping, I look at things differently than perhaps many people do. For instance, for several years I've eyed the ticket rolls at various stores thinking to myself "oh my goodness...I would have LOVED playing with those as a child. I should buy them for the preschoolers." Somehow though I've talked myself out of that purchase at least one hundred times by saying back to myself, "how on earth do you expect 16 children to use a couple rolls of tickets?! They will just unwrap them and be done." I somehow told myself that the value in the ticket rolls wasn't great enough to justify the purchase. Well I finally stopped listening to myself and went ahead and bought some ticket rolls. I had no idea they would think to find such a tiny little space to use as a ticket sales distribution slot! And what must one use in a preschool to purchase tickets? Flowers seemed to work as payment! She found a way to make one herself. These tickets enjoyed a life in the hands of these children for many days. Some were even sent home with friends in little ticket envelopes with ticket cards made by little hands. 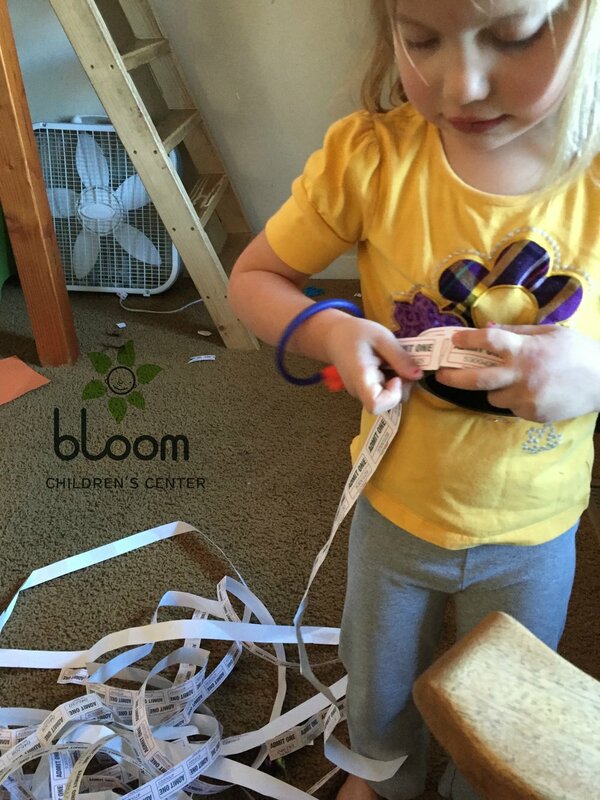 The uses for these tickets were uncountable...from a sensory experience piling up strand after strand of tickets and jumping or sitting on it to carefully placing tickets one by one in a hole-in-the-lid yogurt container to fill the entire thing! The learning here was TREMENDOUS. So very many opporutnities to practice fine motor skills, gross motor skills, hand-eye coordination, social skills, conflict resolution, problem solving, creativity, and SO MUCH MORE! I'm so so glad that I finally followed that instinct of "I would have loved this as a child" and allowed these children such wonderful opportunity of experience! Yesterday morning I happened upon a sign on our street that said, "Avion water on your street will be turned off Thursday at 9:00am". So I set out to assess the situation we would face on Thursday. After many phone calls the job supervisor at the water department told me he thought the job could take only 15-30 minutes, but that it could possibly be an hour or two. That sounded GREAT to me after having initially heard that it would be a minimum of 2-4 hours! So we decided to take the risk of staying at the school, instead of the suggested idea of a spontaneous field trip...which would have required MUCH scrambling for transportation and would have been quite costly. 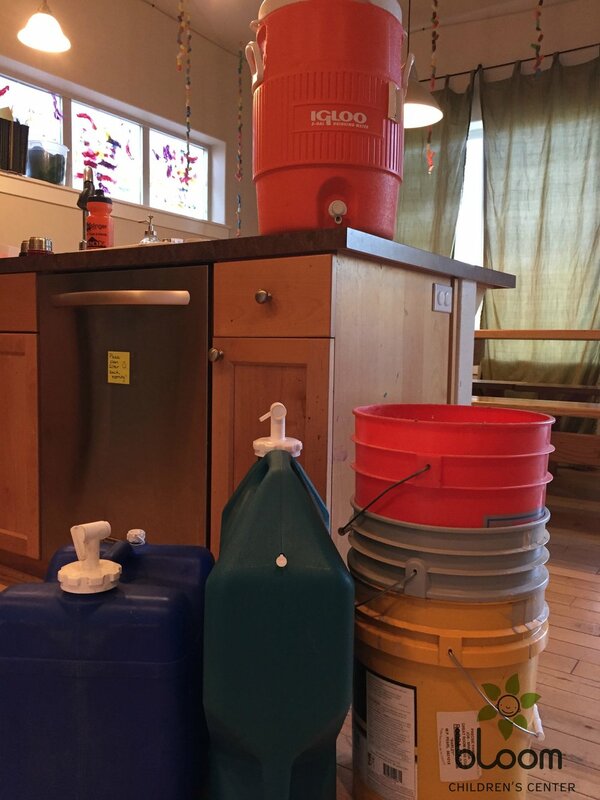 Our licensor recommended (as did the water company) that we stock up with plenty of water to manually fill the toilet tank, run over washing hands, and use for drinking...just in case. At 8:30, we started the process of "everyone gets a turn to use the toilet", which is extremely far-from-normal for us...we prefer to allow the children to use the toilet as needed. At about 8:45am, N exclaimed, "K...You're in luck! The toilet still flushes!" as K set off to use the bathroom! At 8:50, I received a call from the water company, "we will be turning off your water in ten minutes." This was my cue to cover the faucets. That was pretty much all the excitement once the children realized, "It's 9:00, and the workers don't look like they're doing anything." Around 9:20, R's curiosity overcame her as she asked, "Stephanie can we go out there? I want to see it!" So she put on her boots and we grabbed our jackets. 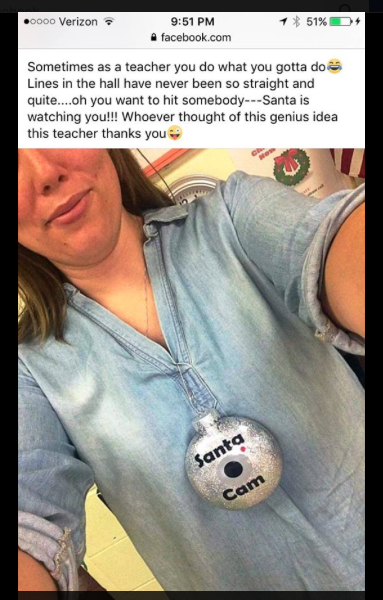 She and I headed outside while the other teachers stayed in with the rest of the children. We examined the area, looking down into the trench just as the men put the final pipe fitting together and began shoveling some dirt over the top. 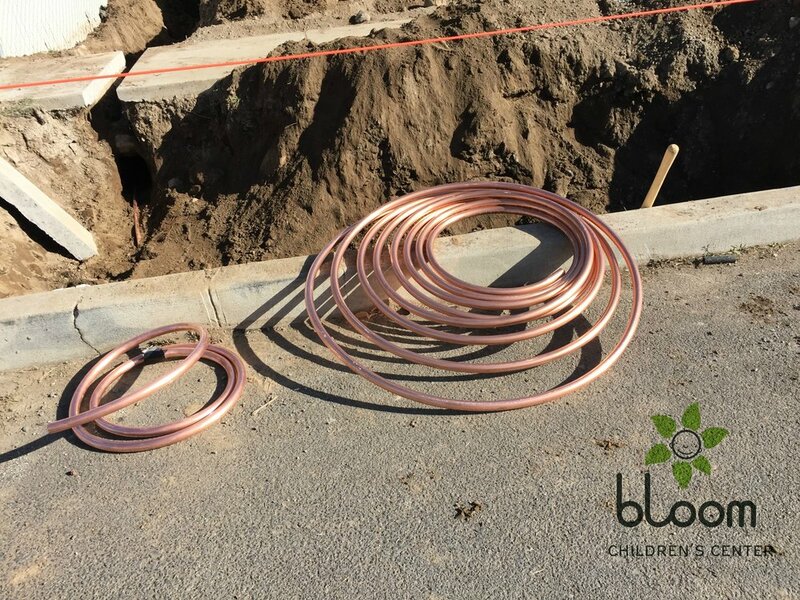 Yup...that's not your average garden hose! The men from the water company told us the water was back on, so R and I went back inside to tell the others the water was on. Upon hearing R's excitement about what she'd seen, three other groups of two asked to go see for themselves. All in all this entire "water off" deal only lasted an hour (with mini field trips out to see the work included). 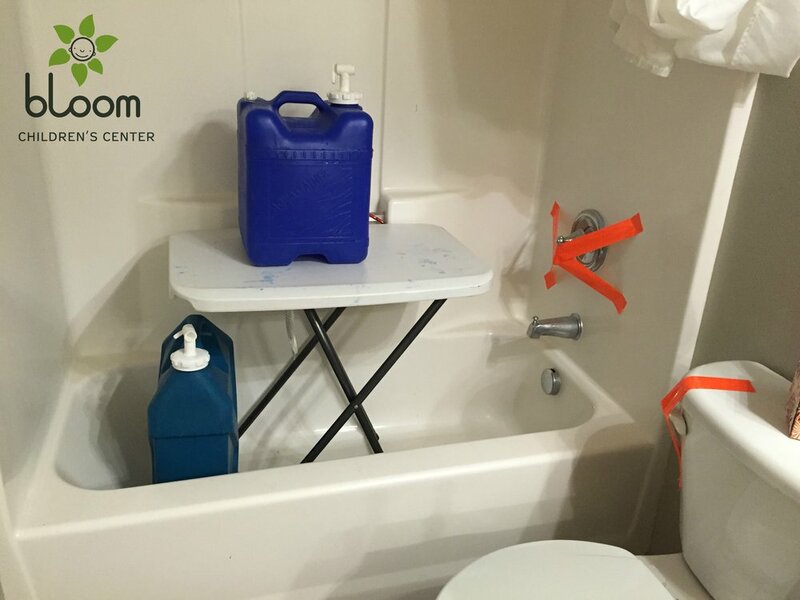 Even though we didn't need all those jugs and buckets of water, I'm thankful I was prepared for "just in case"! 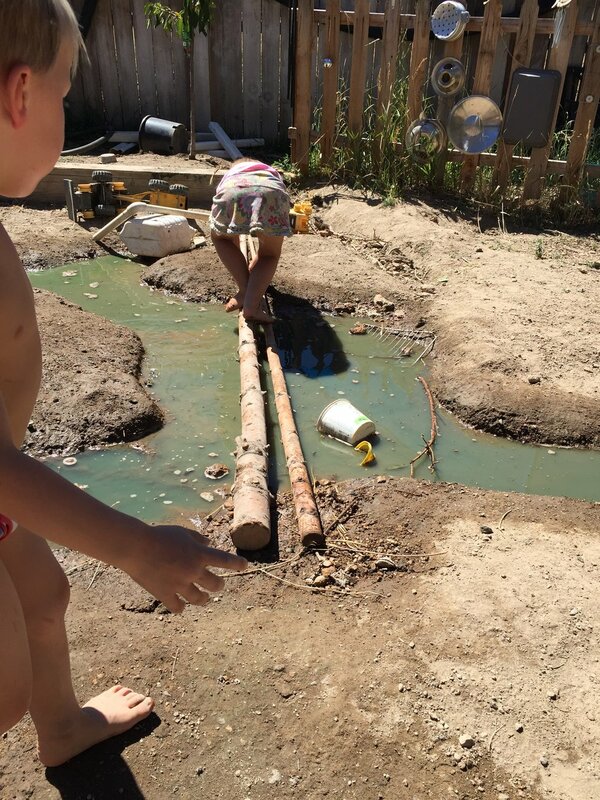 And no...that water did not go to waste...it added MUCH excitement to our water play in the school yard after the running water was safely running through our pipes again! 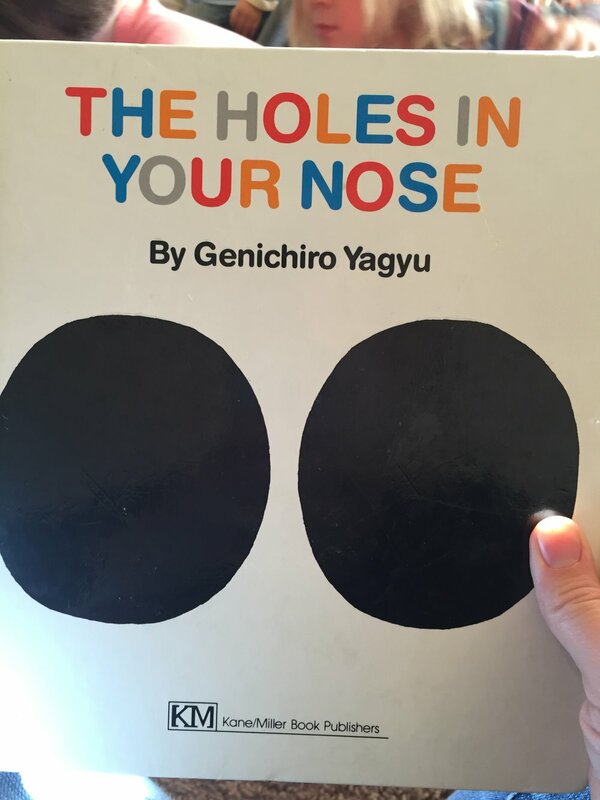 Exploring "The Holes In Your Nose"
We got a new book in the school last week. As we explored all of the fascinating details within the book, Lola rested on the couch. ...the holes in Lola's nose are a different shape from ours! One of our very favorite early childhood educators Bev Bos has been known to say that songs and stories about death MUST be in the child's life BEFORE death happens. I think she is right. I think that in order to draw strength from such songs and stories, one must have them already in the mind and heart for access in time of need. I also think experiences with death are equally important. We read these books frequently, and I've often loaned them out to families who find themselves nearing the end of a pet's life. Our society often does a very strange thing by avoiding the topic of death. Adults often find themselves at a loss for how to handle the topic of death with their children because they haven't properly learned how to handle it themselves...and how to grieve. The above books do a great job at addressing common thoughts and feelings when a loved one is dying in a very simple straight-forward way for children (and adults too). This week, our very last preschool pet snail died. The children knew exactly what to do. They gathered outside and dug a hole in which the snail would be buried. Next thing I knew, that same teacher was writing something. 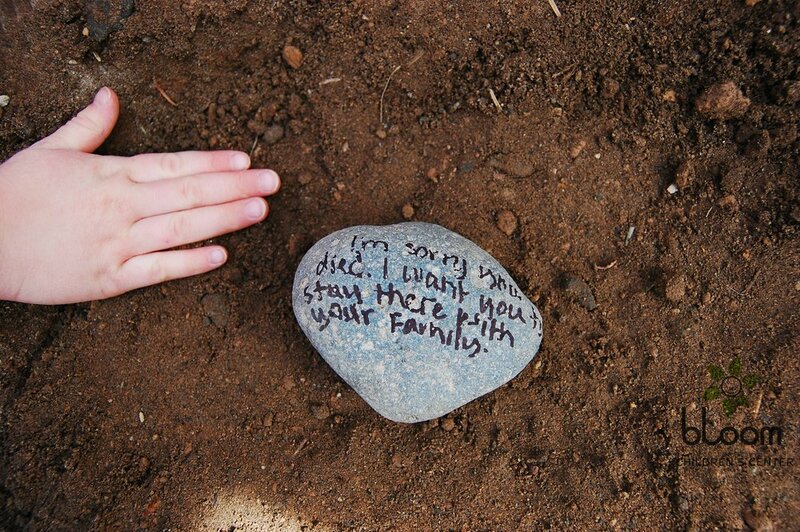 The children had selected a stone and asked her to write a note to the snail on it so they could use it on the snail grave as a marker. 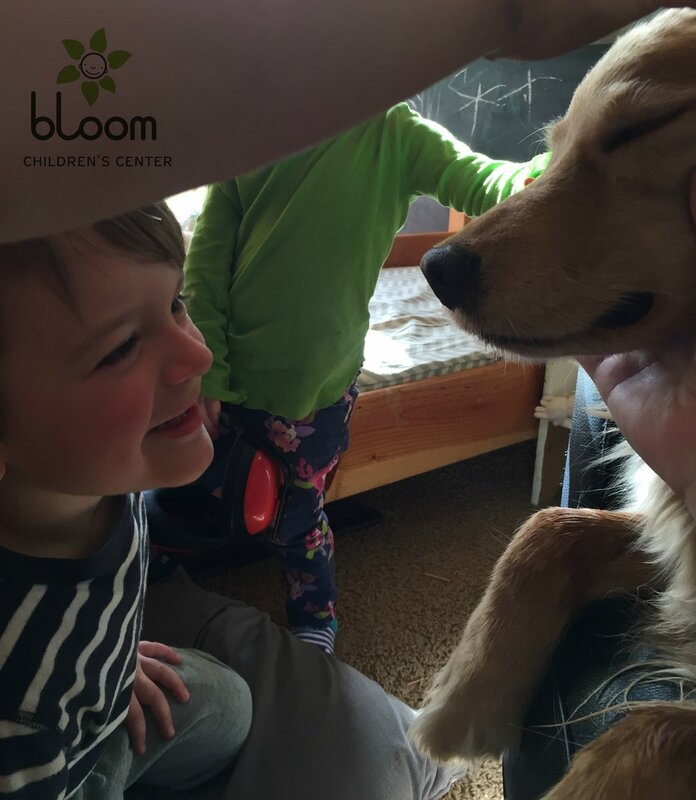 I have absolute faith that when the death of a loved one (pet or human) is near for these children they will have stories and experiences from which to draw strength in guiding them through the grief process. "I'm sorry you died. I want you to stay there with your family." I think this is an example of a time when we adults would do well to follow the children's lead! 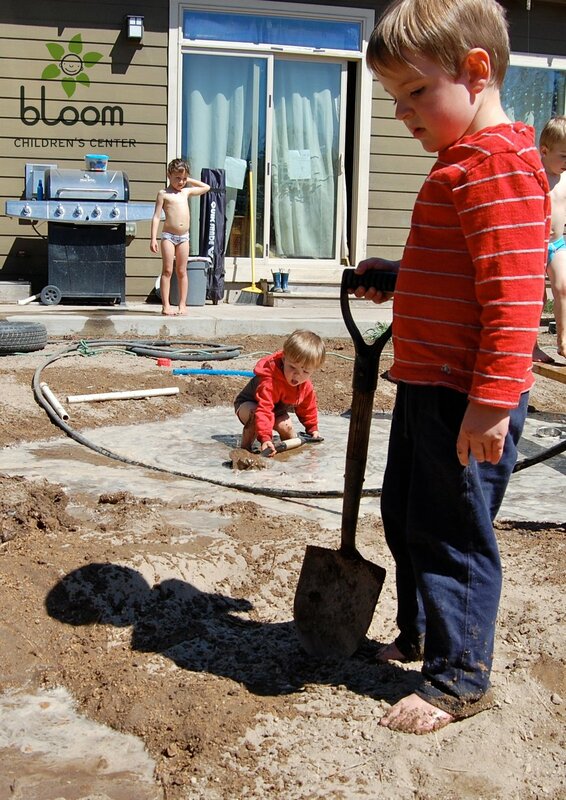 Whithin in the context of authentic play-based learning, we must think consciously about what lies beneath our special holiday traditions. Sometimes, despite the best of intentions, we have a momentary lapse of focus...we can mystake what is important to US with what is important for our children. We ask our children to do things for others because that's what is important to US...the adults! Valentines day is a day in which we relish showing our love by doing special things for others. BUT...does directing a child to give something to someone else (such as a cute little card or candy) really teach them to love and be generous to others? I think not. It's just not an authentic act of love from the child. 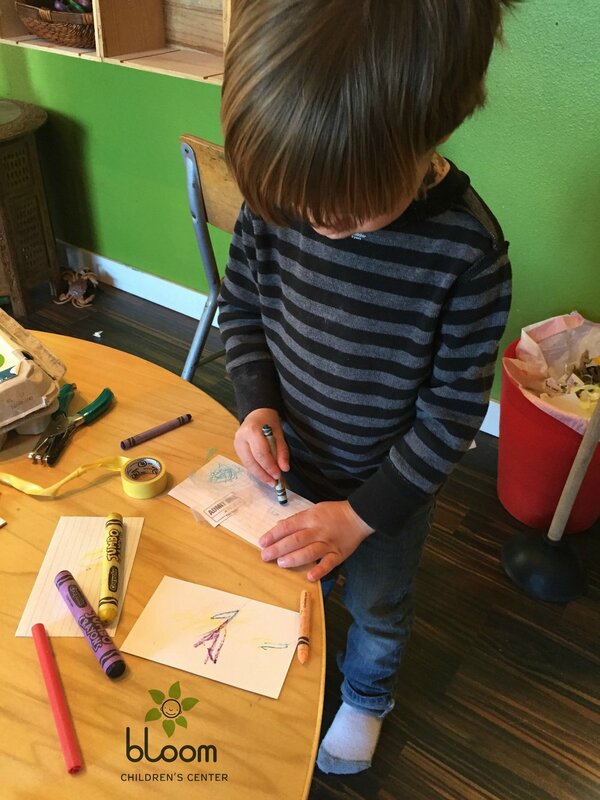 Authentic love and generosity expressed by a preschool child does NOT come as a result of giving the child cards that they must give to others, or suggesting or encouraging the child that perhaps they should make or give something to others. 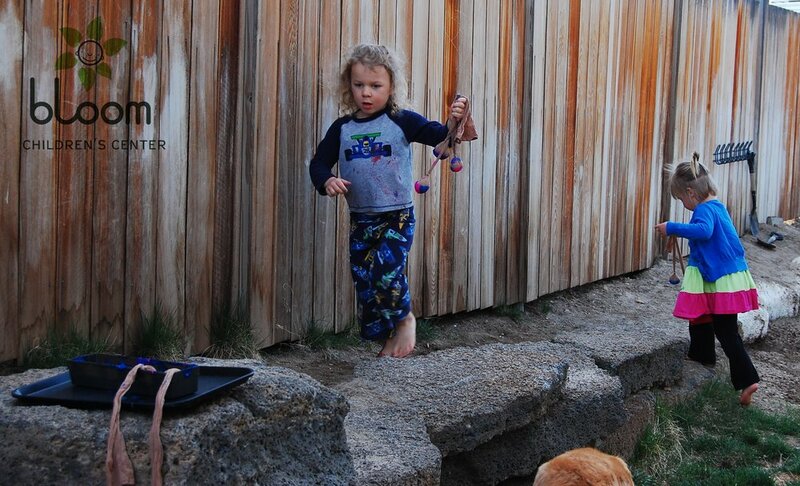 Authentic love and generosity is something that emerges spontaneously with preschool children. I'd even venture to say that preschool children practice "Valentine's Day" every day! 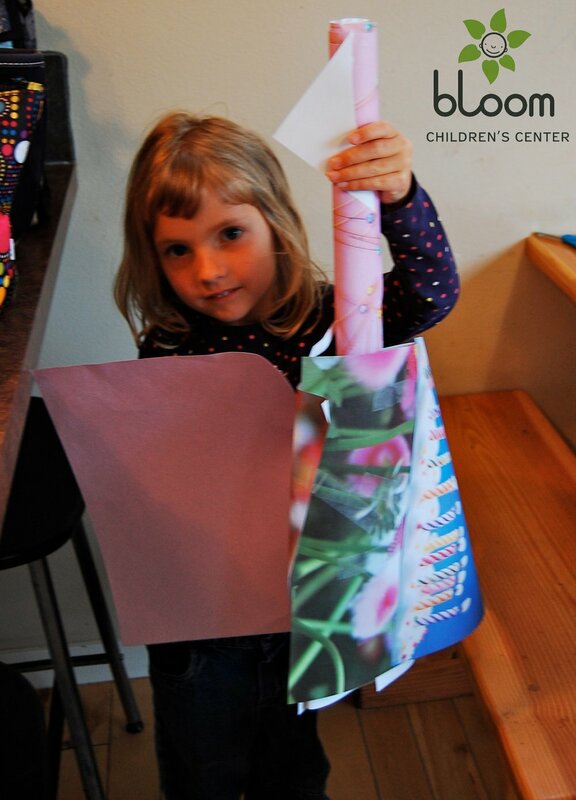 In our program children make cards and gifts for others almost daily, and do so VERY creatively! This is why we don't plan to do a Valentine's day party. The love and generosity found in pieces like the examples above is so much more authentic than anything we as adults could suggest for a child to do! 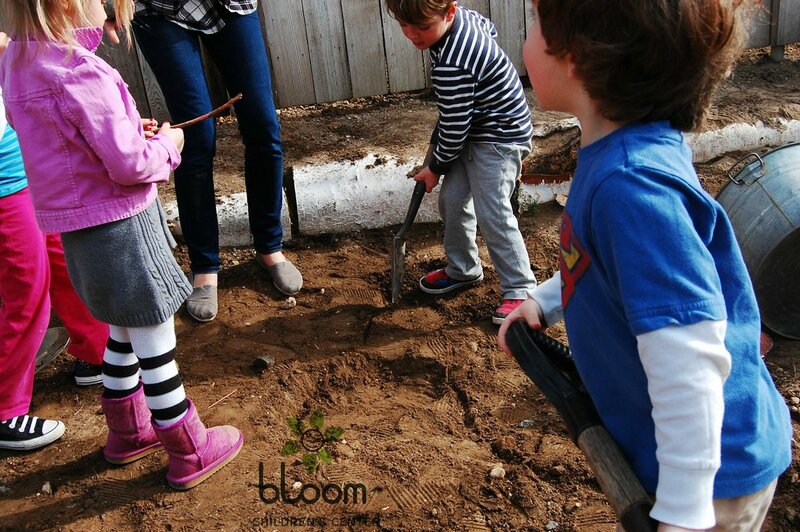 So...what will tomorrow (Valentine's Day) look like here at Bloom? I'm not exactly sure. I know this...we will follow the children's lead in their learning just like any other day, because THAT is what is important for them to experience! 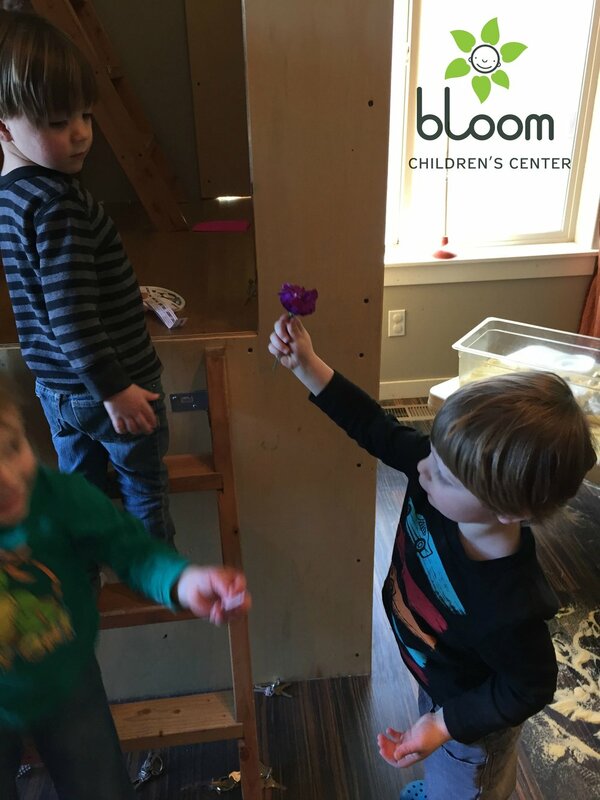 If in their play the children come up with the idea of a Valentine's day party...of their own accord...without the direction, guidance, or suggestion of an adult, we would absolutely honor the children's ideas and inspiration...and probably end up partying like rock stars! So how can we keep those Valentine's Day traditions alive and well for the adults who care about them without pushing them on our children? 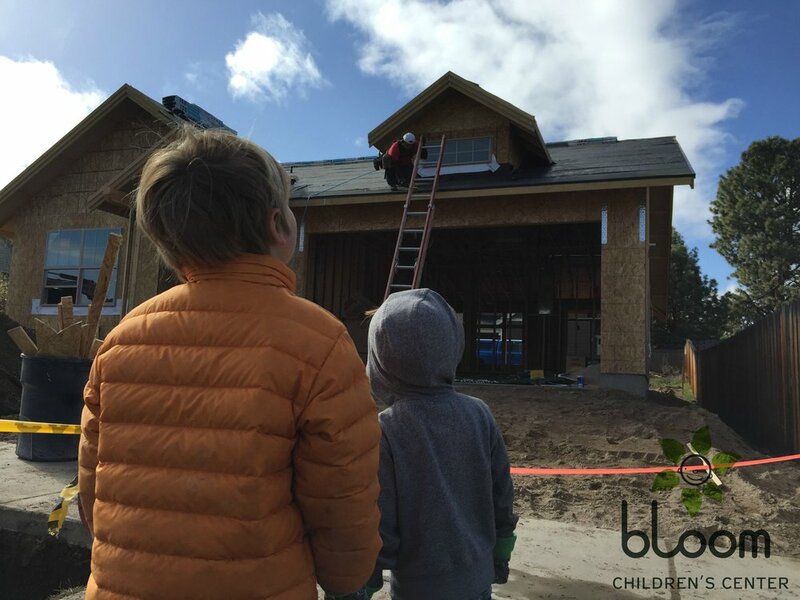 How can we instill in our children an authentic love and generosity for others? Let's MODEL it for them! Please spend your Valentine's Day showering others with love if you so choose. If you would like to show your child that they are special and that they are your Valentine, go ahead and do something special. If you think the children your son plays with deserve a special little act of love, do one for them YOURSELF. 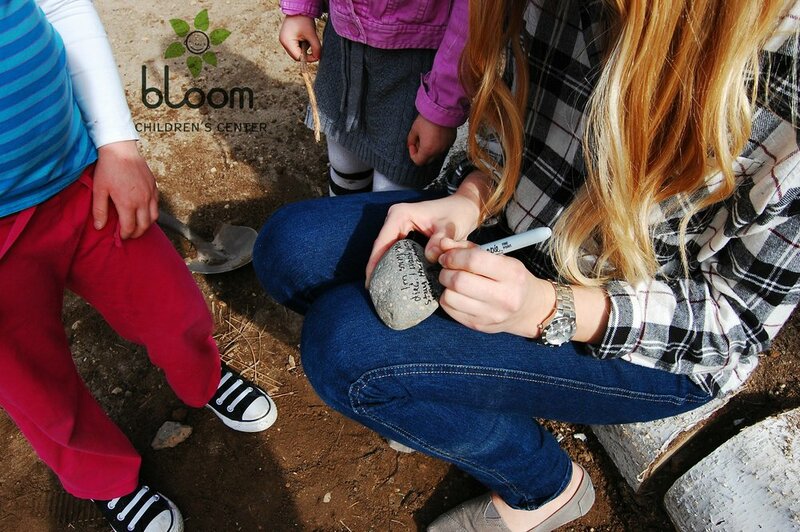 Preparing a little surprise for the children yourself will be so meaningful to your child. Imagine the example you will be setting...you will be literally SHOWING (not just telling) them what Valentine's Day means. RAMBLING NOTE: if you are preparing goodies for people and your child wants to join in on the giving...let them...just don't EXPECT for them to do so...just don't instruct them to do so...and if (heaven forbid) they only want to help with SOME of the goodies because those are the children they "like"...let it be so! You are perfectly capable of simply completing the rest of the goodies yourself, and it does NOT mean your child is an unkind person...it simply means "I am a preschooler...this is how my mind works!" If you'd like to visit our program, please RSVP via "contact" link here on our website. Let us know that you'd like to join us for a visit on Monday February 23rd at 5:30pm. We are holding an open house tomorrow, October 25th, for families who are interested in joining our program. The event will be held from 9:00-11:00am. We ask that you please email us to RSVP if you'd like to join in on the event! I was added quite some time ago to a Facebook group devoted to stopping common core. Many things I’ve seen posted in the group didn’t really resonate with me. Nobody was truly placing a finger for me on why I stand in the position of “against” Common Core. Last night in that same group, a parent posted a math problem that was sent home with her child. What does this mean??? 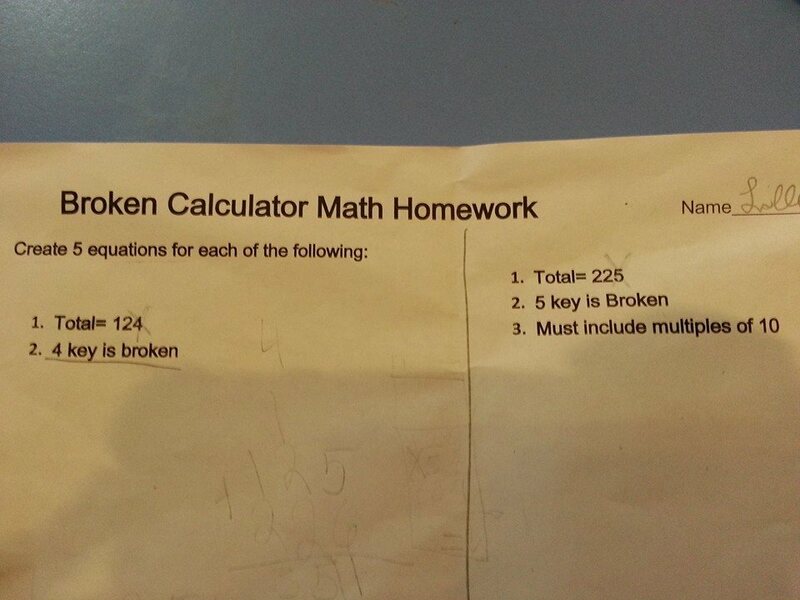 Is she suppose to write 5 examples of a problem equaling those numbers without using the "broken" number?? As an educator who grew up loving math and works with her early childhood program and her own children in non-traditional methods (meaning...not-how-we-grew-up-learning-math), I was able to provide this mama a few ideas in helping her daughter (and herself) understand how to solve this problem. Conversation turned to suggesting we should return to multiplication tables and rote memorization (which I’m quite certain is not the answer). Stupid.... I meet with my kids principal tomorrow to discuss this crap! Stand up and opt out. The truth behind this Common Core crap would scare you to death! I'm not joking guys! So What on earth IS this big bad, scary Common Core thing?! Very basically it's a set of standards that are being imposed on our childrian via repetetive (yearly) testing in an attempt to assess whether they are "on track" in their learning. If I'm supposed to jump to my feet and opt out, why?! I FINALLY set out to determine for myself how to articulate what my problem is with Common Core. Of course my research started with Teacher Tom. Where else would I start?! This meant I didn’t need to dig very deep to find what lies at the root of the problem for me! Early childhood educators are nearly unanimous in saying that no one who wrote the standards had any expertise in the education of very young children. More than 500 early childhood educators signed a joint statement complaining that the standards were developmentally inappropriate for children in the early grades. 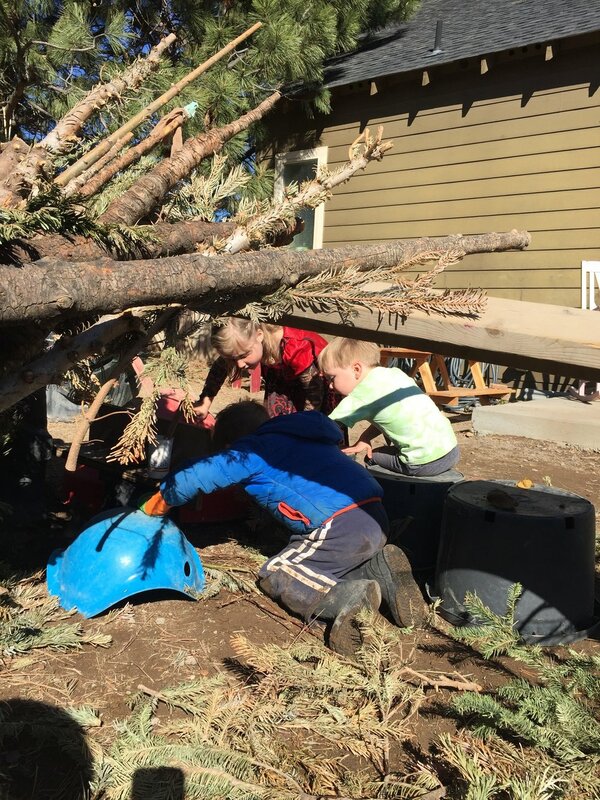 The standards, they said, emphasize academic skills and leave inadequate time for imaginative play. They also objected to the likelihood that young children would be subjected to standardized testing. And yet proponents of the Common Core insist that children as young as 5 or 6 or 7 should be on track to be college-and-career ready, even though children this age are not likely to think about college, and most think of careers as cowboys, astronauts, or firefighters. Is this not ludicrous?! That educators...the ones who are professionally trained to know what and how our children learn at what developmental levels would not be consulted to see to it that the standards we expect for our children to “know” be developmentally appropriate?! These standards we have placed across our country upon our children are not just. They bring greater inequality to our learners. So how could we do differently? How could we work to develop an educational system in our society that would be more appropriate and greater supported by the public than Common Core? I’m not sure the answer. 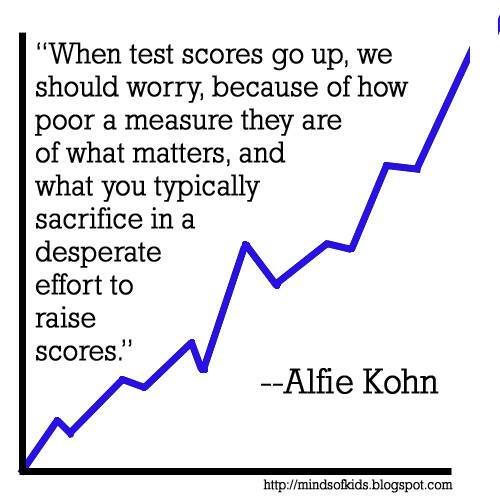 I'm quite certain the answer does not lie in making a better test. I'm pretty sure the answer lies somewhere within educating each child exactly where they are! I’m intrigued by what I read from Teacher Tom (yes again!) in his recent Taking The Time And Care To Do It Properly blog post. For now, I will continue to pursue educating children where they are, as opposed to getting them ready for something ahead. I will be present. I will work (as I hope many of you do also) to make progress happen in an improved direction from the one we are headed with the current Common Core! How many ______kindergartens must we have BEFORE kindergarten? Today I was privy to a conversation in a local group asking about recommendations for a junior kindergarten. Based on the conversation, I believe that "junior kindergarten" is something that comes BEFORE "pre-k", which comes BEFORE kindergarten. Do we all understand what the purpose of kindergarten is? Have we really all forgotten what "kindergarten" means? Check this out! It talks about the origin of "kindergarten"! We have taken what was SUPPOSED to be 1st grade and moved it down to our kindergarteners!Then we pushed it down to our preschool aged children! We just keep pushing it down to younger and younger children! How will these poor children EVER learn true social skills when not given the freedom to develop them as naturally happens through play?! ...because we seem to have forgotten what childhood should be. 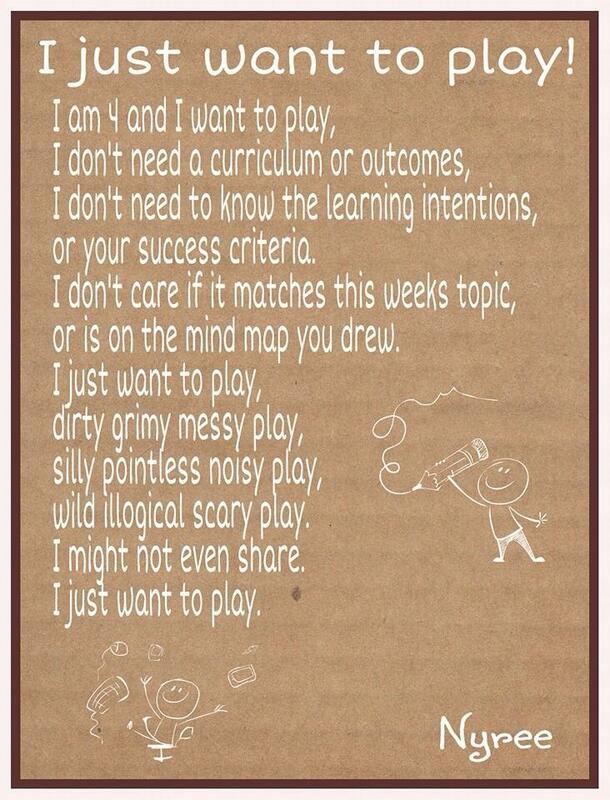 We seem to have forgotten how important play truly is! 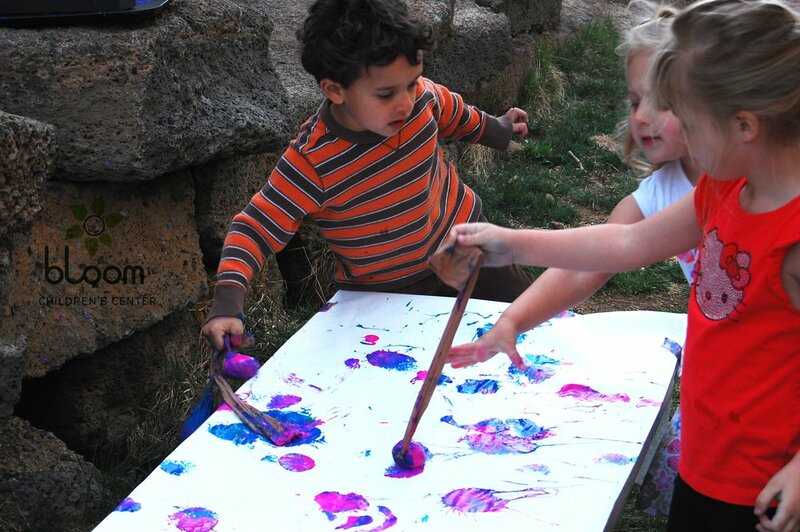 "Environments with too many predictable features tend to reduce the neural activity in the brain," writes Nikki Darling-Kuria in Brain-Based Early Leraning Activities: Connecting Theory and Practice. 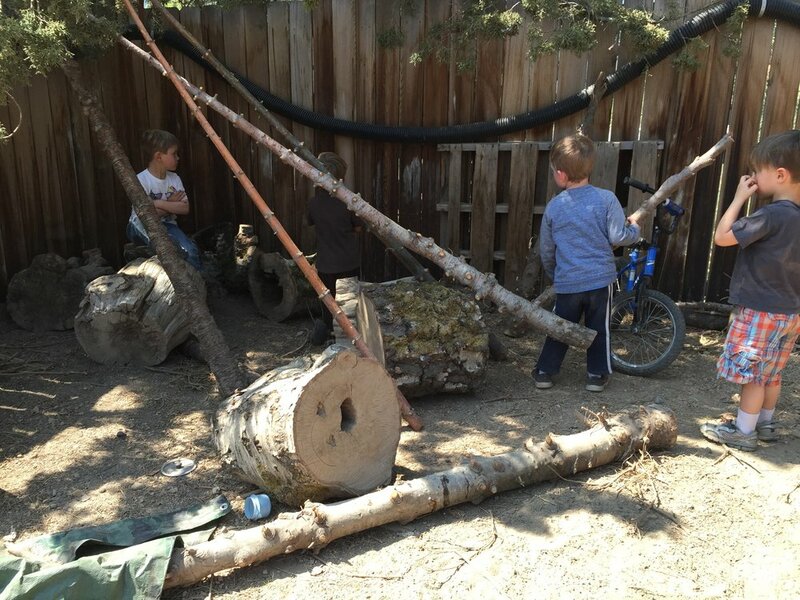 "When the environment is challenging, a child's brain will continue to make new and more concrete connections. When we get used to certain patterns in our environment, we become less challenged." (2010, 33) On the other hand, too much unpredictability can have negative developmental effects. 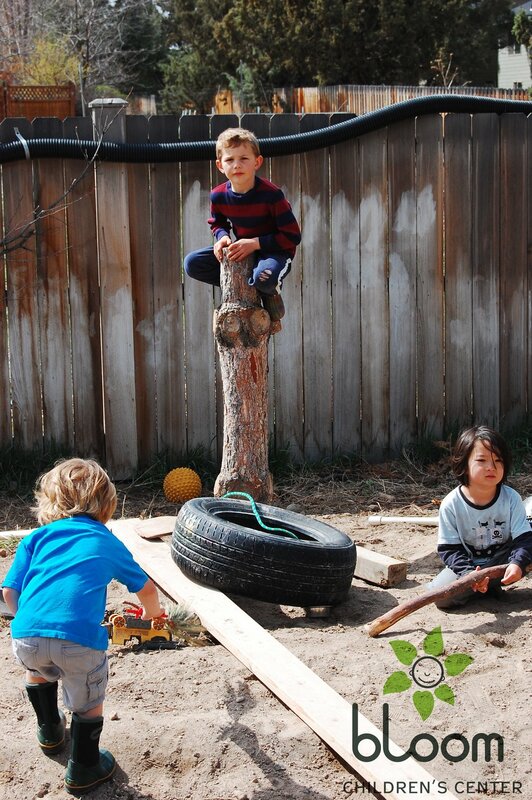 Physical environments that offer thoughtful stimulation more fully engage the busy and curious minds of young children and lead to more play-based learning. -Shun screen time. Plenty of evidence shows that sitting in front of televisions and other screens hinders learning. 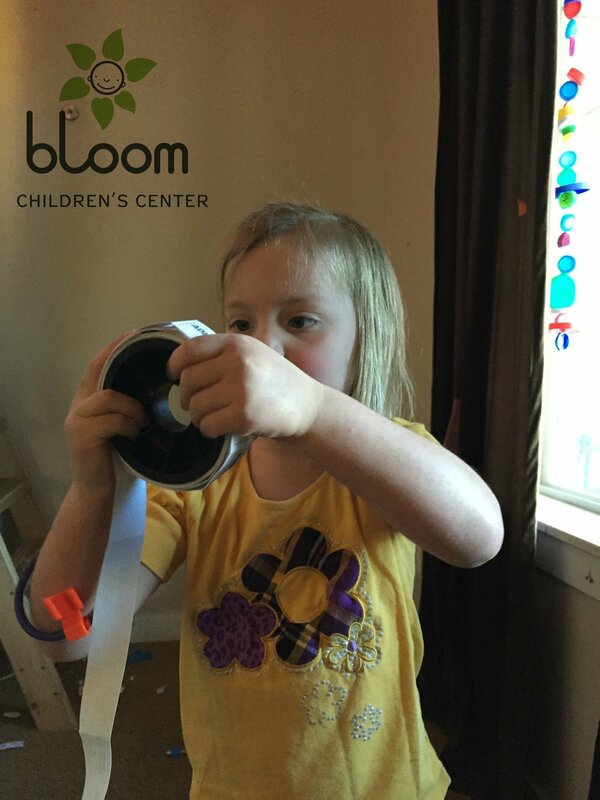 Even a pile of empty cardboard boxes, scissors, and a few rolls of masking tape provide more interactive and developmentally appropriate ways to stimulate learning in young children. -Implement a battery-free zone. Screen time is a big source of overstimulation, but there are others too. Consider all the electronic learning toys that whiz, whistle, and whirr. The sounds and flashing lights these gadgets make are sometimes the only interesting things about them. 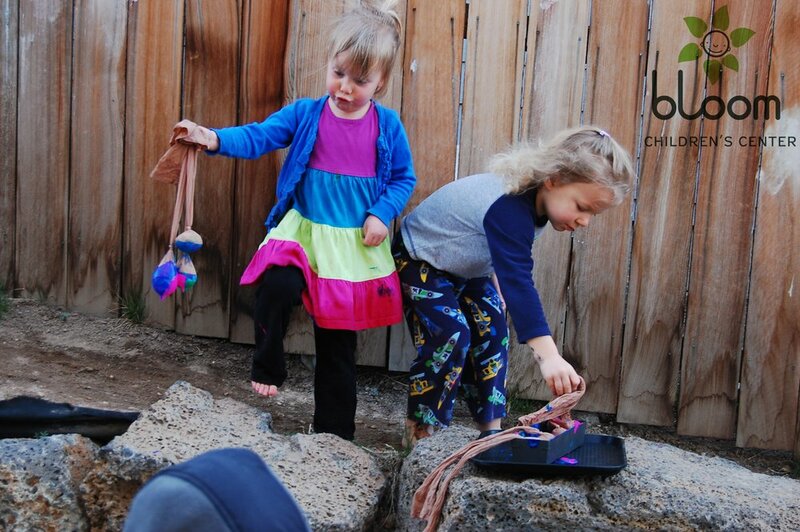 Kids get bored with them quickly, and the toys end up going unused. 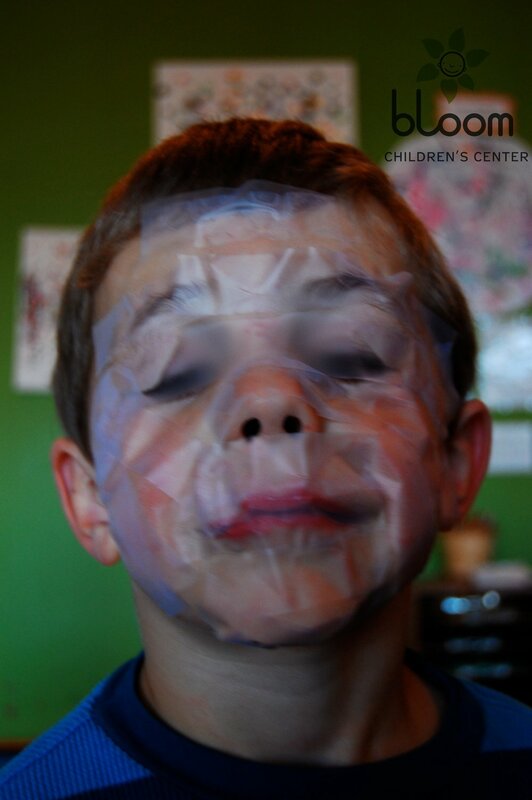 (Or the kids find creative but sometimes inappropriate ways to use them.) 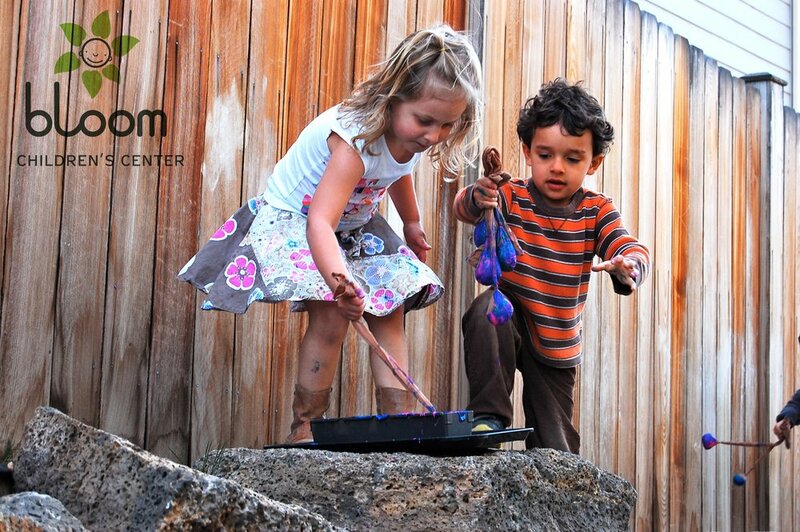 Avoid overstimulation by implementing a batter-free toy policy in your early learning environment. -Think about color. 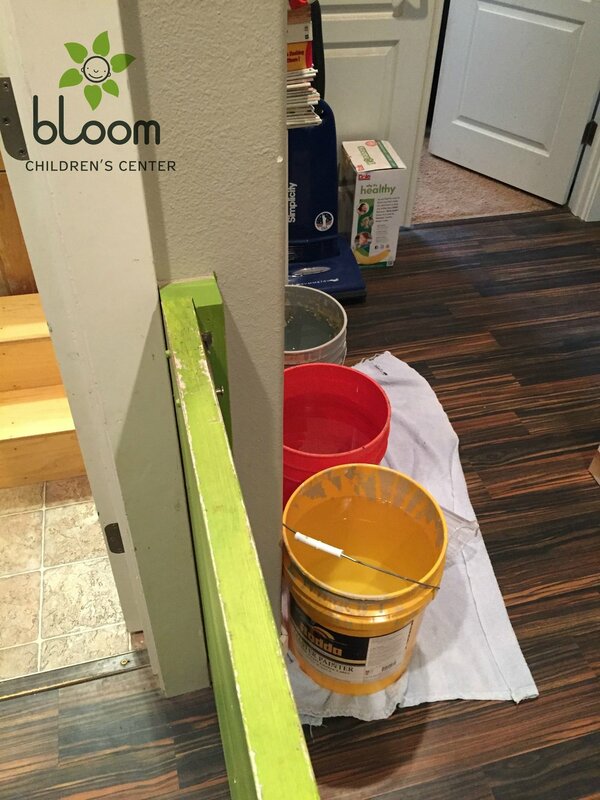 Bright primary colors are not necessarily the most appropriate choice for walls and furnishings in an early learning program. Loud colors can overload the senses and influence behaviors. You are responsible for the whole feel of your physical space. Neutral walls with rich but subdued splashes of colors throughout the environment may provide stimulation that is more appropriate. The current norm for the education of young children weighs heavy on my mind. We need to remember what it is to be a child. Being a child does not look like being a "little adult". but best FOR THE CHILD! Red Paint in the Hair??!! Red paint in the hair? Blue paint on the jeans? Sand in the shoes? Peanut butter on the favorite shirt? White socks that look brown? Sleeves a little bit damp? Your child probably. . . Your child probably didn’t. . . Your caregiver probably. . . Try to remember your favorite activity when you were four years old. 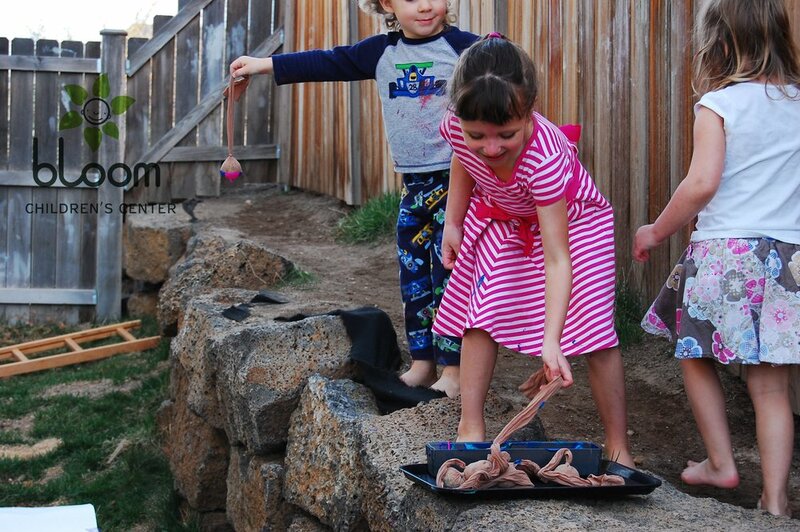 Was it outdoor play with water, mud dress-up clothes? 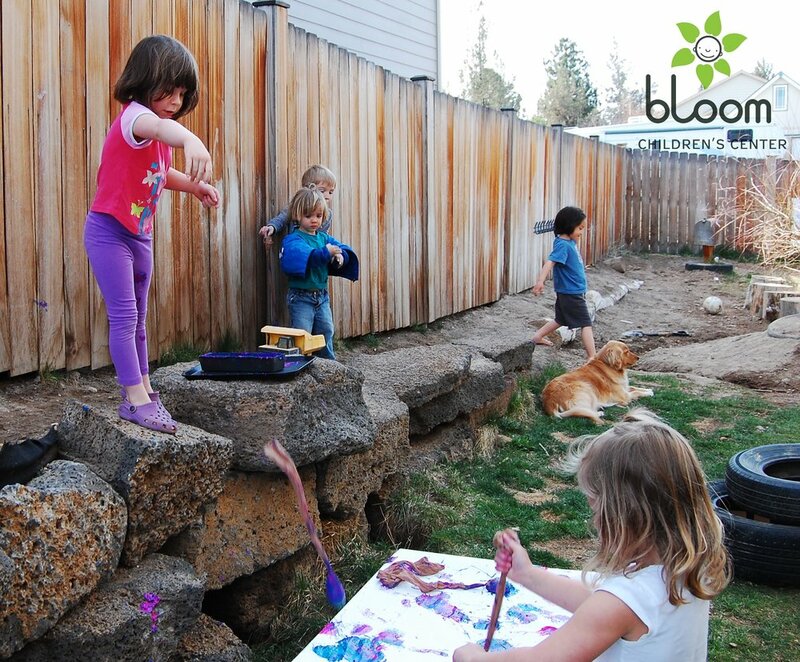 Young children really learn when they are actively involved in play – not when someone is talking to them. There is a difference between “messy” and “lack of supervision”. 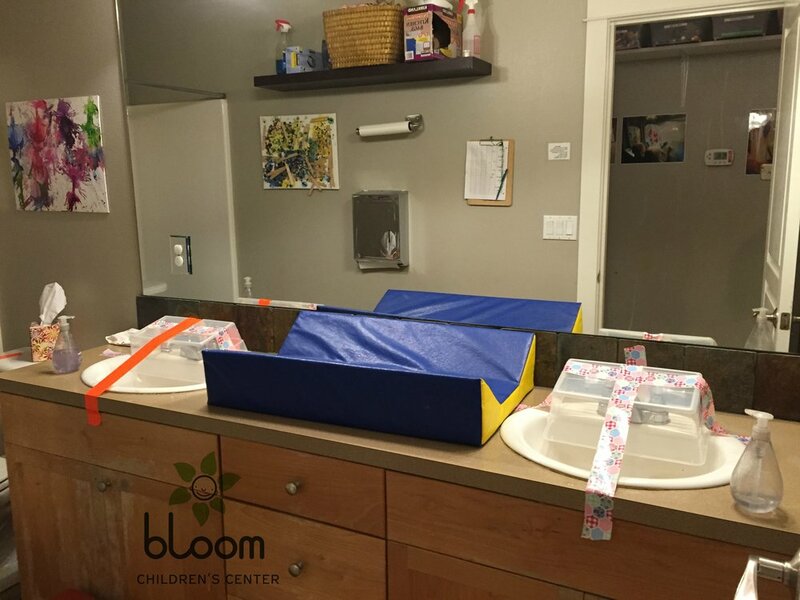 The caregiver made sure your child was fed, warm, took a nap, washed hands after toileting and before eating, and planned messy fun things to do because that is how young children learn! 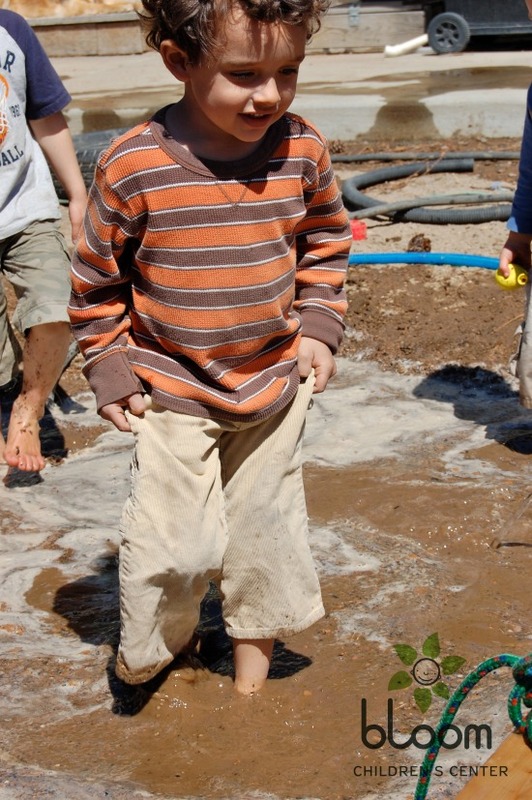 Send your child to school in clothes that can get dirty! 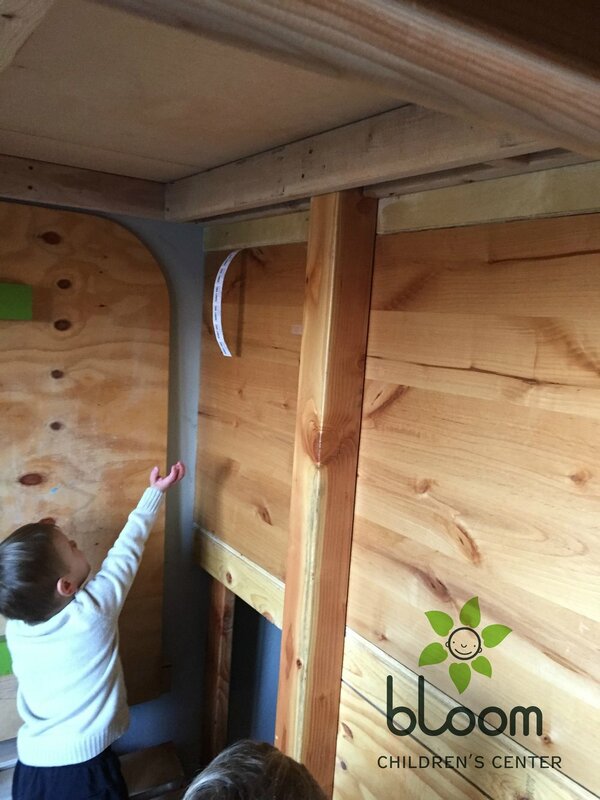 Keep extra old clothes at the play site for times when the child gets really wet or messy. If you need to take the child out, bring the dressier clothes when picking up, and allow time to change. Keep calm. Remember in a few years the teenagers will use the shampoo, mirrors and all the towels! Young children need time to be kids. If you have concerns talk to your child’s caregiver about active play! Although not written by Lisa Murphy, this was shared with you by Lisa Murphy, Ooey Gooey, Inc. who found it a l-o-n-g time ago in the San Diego YMCA/CRS Newsletter, Summer 1996, who gave credit to OPTIONS Summer 1995 Newsletter. all in just five days of play! "Here Comes the Over-Painter!" - "Just Playing?" Welcome to this week's post in the "Just Playing?" series! Three boys playing together (I, N, and K), try to find a rhythm to their play as an odd-number. 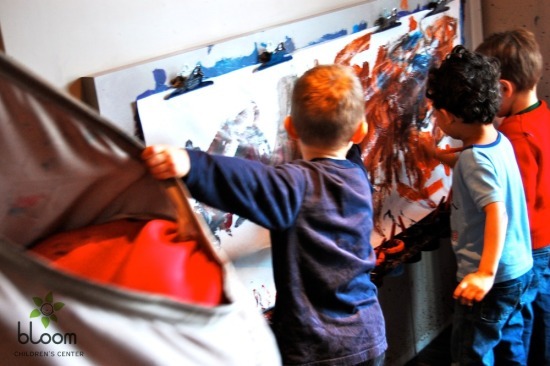 While struggling to maintain posession of two indoor swings, all three boys begin painting on a large paper covering the entire easel-wall, and they create a game. The painting begins as three individual paintings on the one giant paper, but quickly turned into a new game..."over-painter"! One boy shouts, "Here comes the over-painter!" and paints all over the entire paper...over top of all three boys' paintings. For a short period of time, the boys spontaneously take turns shouting, "Here comes the over-painter!" Then the game takes an unexpected turn. N- Look out! Here comes the over-painter! I-No! You can't paint on my house. Our house has to be just orange! I don't want you to paint on my painting! N-Okay. You can paint on MY painting! I- I don't want you to paint on me. Me- N, I heard him say he does not want you to paint on him. N- but I want to paint on someone. I- but I don't want you to paint on me. Me- If you want to paint on skin, you could paint on your own skin. Please share your thoughts about what learning you see taking place in the comments below, and follow the links below to other "Just Playing?" blog posts. This post is part of the "Just Playing?" series. Recently I happened upon a couple of $3 ladders at our local Goodwill store. I have no idea of their previous life, but here at the preschool their life is full! 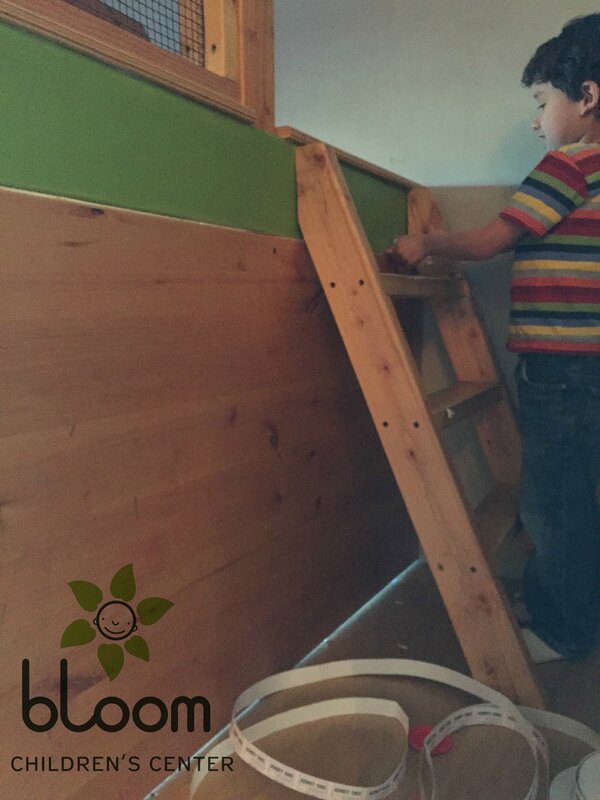 These ladders are used by the children for a variety of purposes! 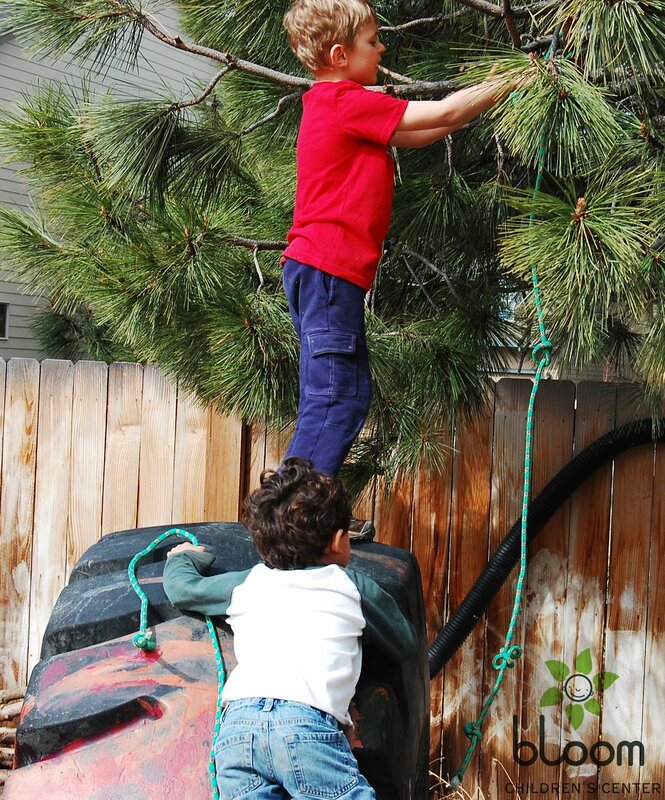 In the photos below, two little boys are found discovering the ladders being unused. They moved the ladders to their desired location with a purpose in mind. 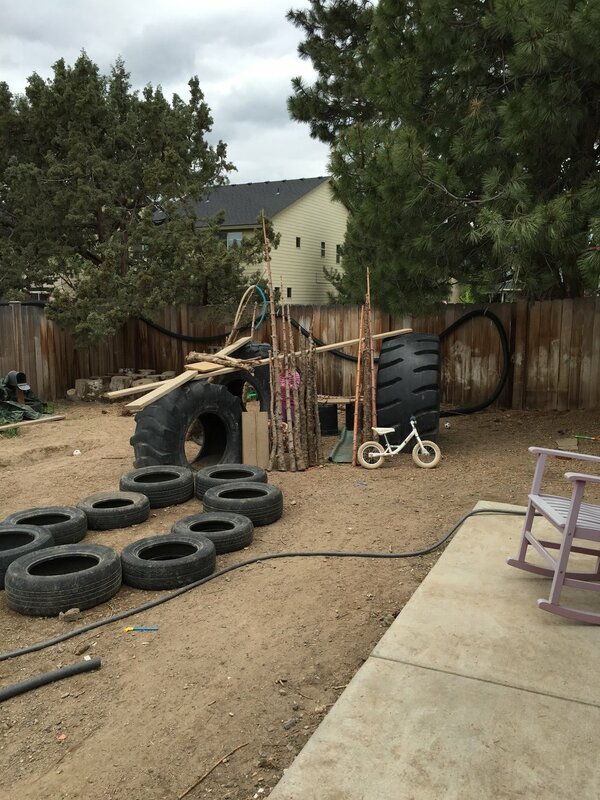 Thank you for remembering that young children do not “just play.” Young children play. 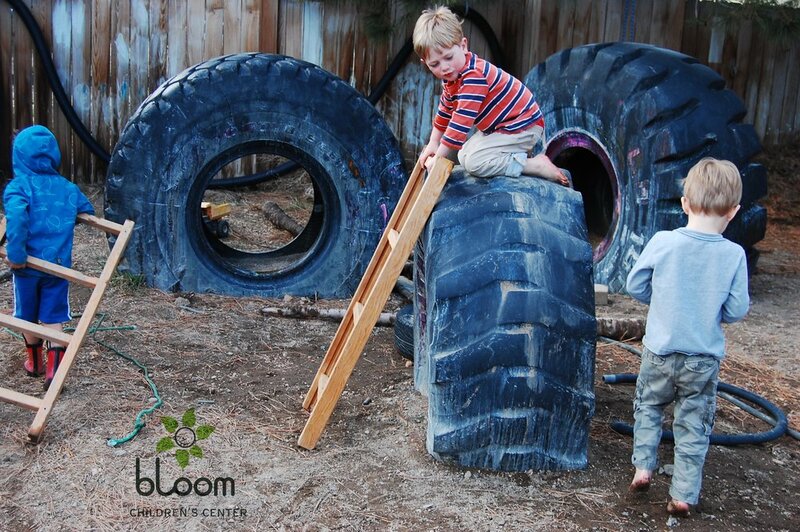 They develop through play. 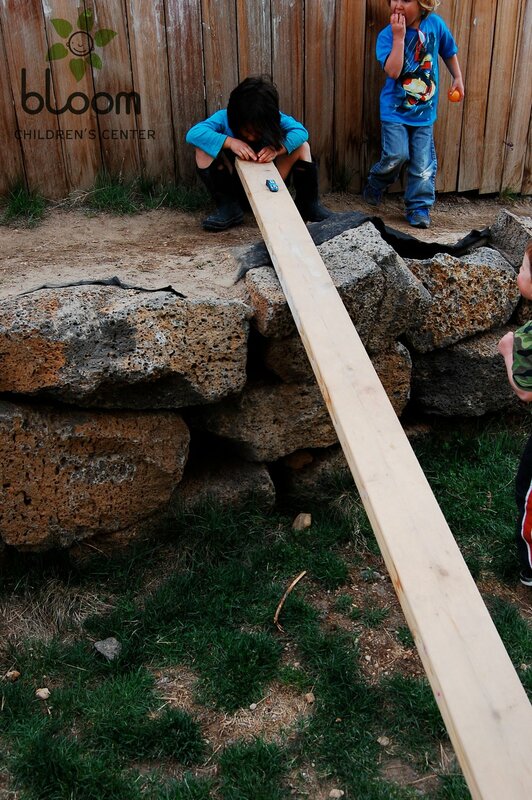 They learn through play. 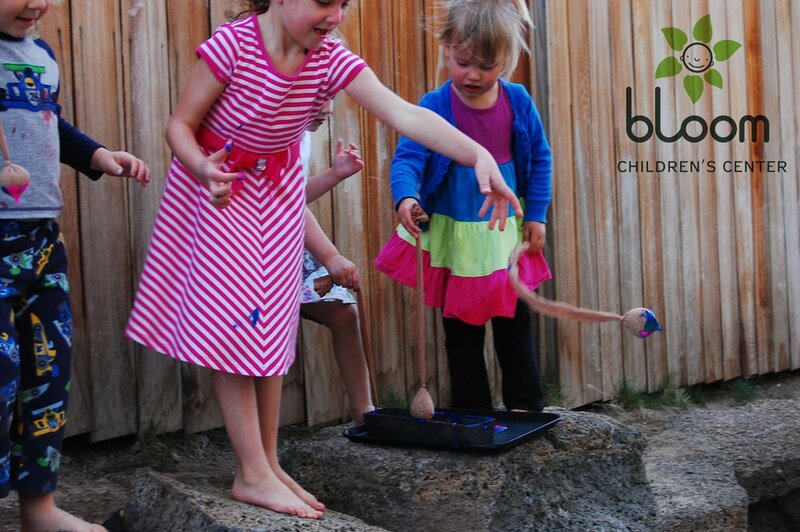 They experiment through play. 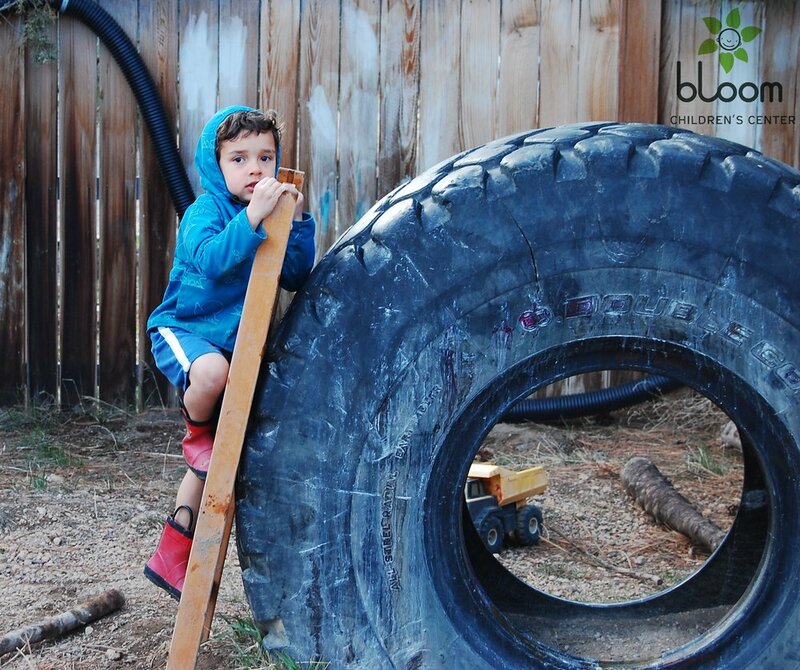 They grow through play. A child’s work is play. Play is important! If you're looking to do a simple activity that is likely to be a big hit, just grab some knee-high nylon stockings, rice (for filling stockings), paint, a tray, and some paper on a flat surface! 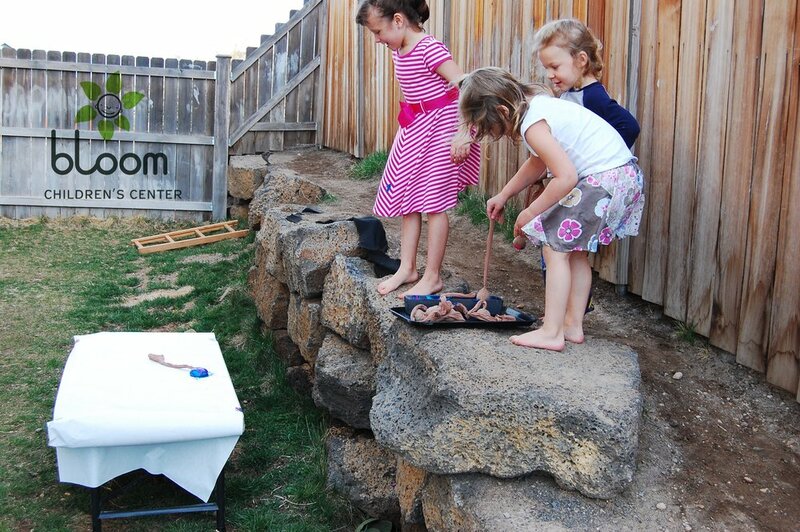 Here is how we set up ours "Splat Painting" yesterday. You'll need a dropping location to be elevated above the landing paper. 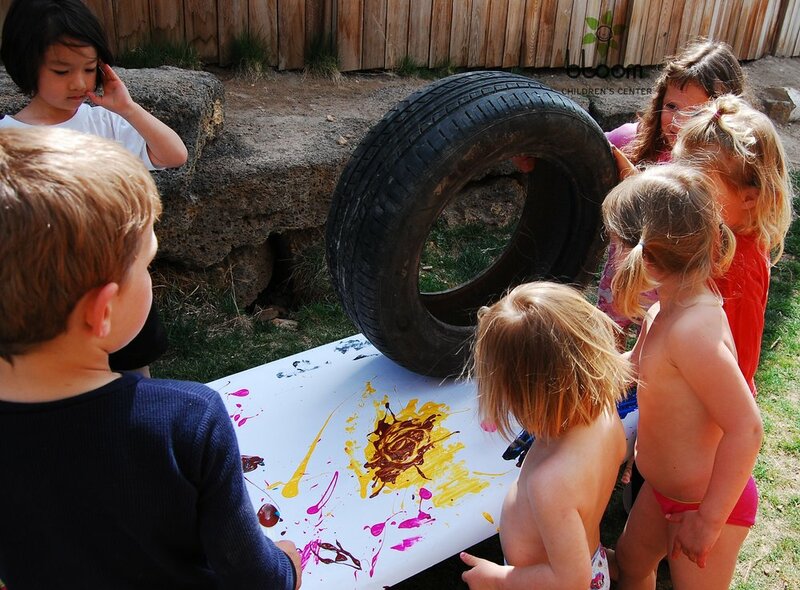 As you can see here, the children are learning so very many things through this play! They are learning to take a risk by jumping in and giving it a try. They are learning a bit about gravity. They are working on development of their gross motor skills. They are learning to think creatively. They are learning to navigate social settings and learning to work with others. ...which ties in with their discovery of how the paint behaves when stopped from moving at a high velocity. So the next time you see children "just playing", consider what all may be at work in their minds. If you see additional things these children are learning, please feel free to comment below. We would LOVE to hear from you!